From start to finish, Metal Rollforming Systems is your trusted partner. 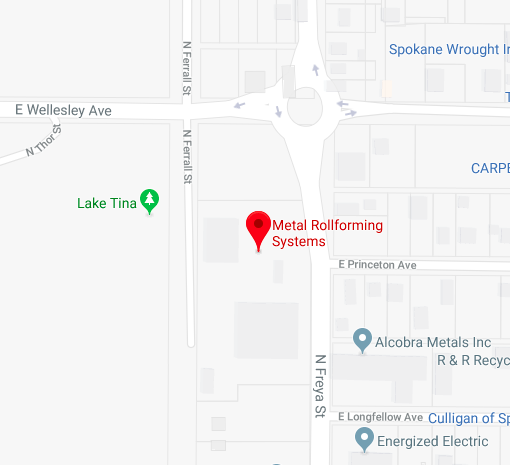 Metal Rollforming Systems aims to be your ‘one stop shop’ for all your rollforming needs, allowing our customers to save time and money when purchasing a rollformer. Along with our complete panel lines, we specialize in custom trim profiles along with all the needed accessories to complete your metal panel needs. MRS designs and manufactures industry leading rollforming equipment 100% manufactured in house. Founded in 1993, MRS, Inc. continues to develop their business through their dedication to the innovation of equipment and reliability to their customers. We understand quality is important. By choosing MRS, Inc., you will be working with a company that knows quality and reinforces it in their equipment. MRS, Inc. is superior in technical support, making us number one. MRS manufactures 100% in-house to ensure that the highest quality standards are met consistently. MRS offers free technical support. You receive direct support from the assembly team who set up and train on the equipment. MRS unique design provides years of worry free service.